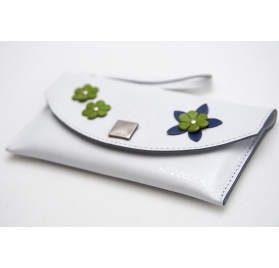 HAWAII Bazzecole smartphone real leather pochette case with two tone on tone flowers and a handy handle to quickly pull out the pochette from the handbag. 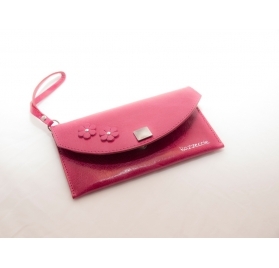 ARMONIA Bazzecole smartphone cow hide pochette case with handle and tone on tone tassel. 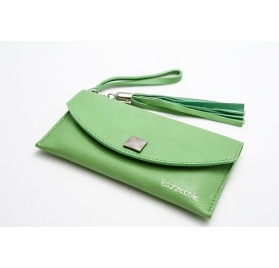 POLINESIA Bazzecole smartphone real leather pochette case with a handy handle and tassel. It is decorated with an heart sewed on the front. 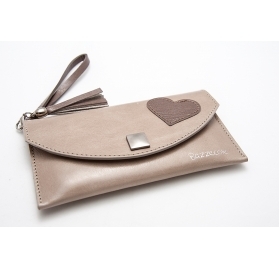 SAMOA Bazzecole smartphone real leather pochette case with a handy handle and a relief sewed heart. 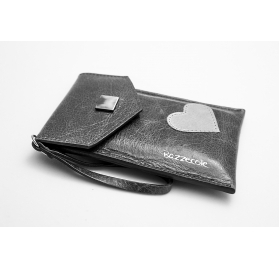 MALDIVE Bazzecole smartphone leather pochette case with handle and three refined relief sewed hearts. 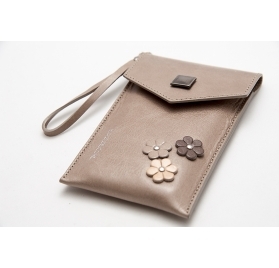 ESOTICA Bazzecole smartphone real leather pochette case with a tone on tone handle and three decorative flowers in contrast. Cod. Fisc./P.IVA 02568390351 | R.E.A. RE n.293622 | Cap. soc. euro 20.000,00 i.v. Copyright 2016 Powered by NB. All Rights Reserved.